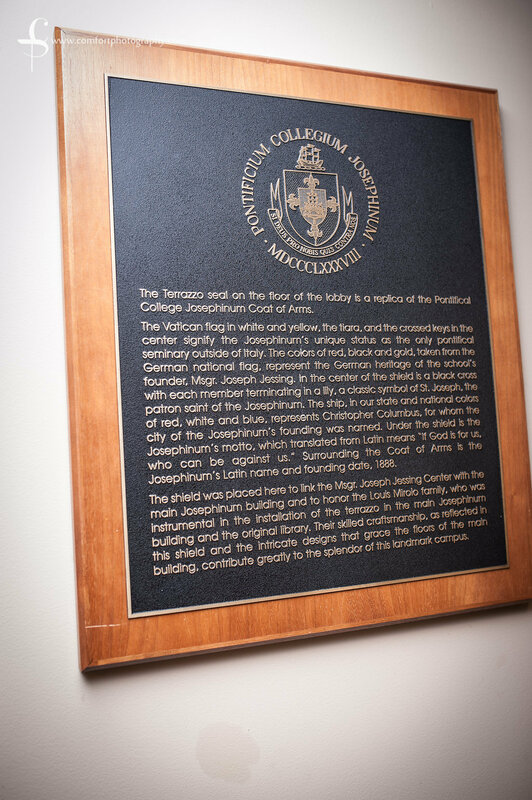 The Jessing Center is named in honor of Monsignor Joseph Jessing, founder of the Pontifical College Josephinum. Constructed in 1938, the building served as the seminary’s library. The library then moved to the main building in 1982. 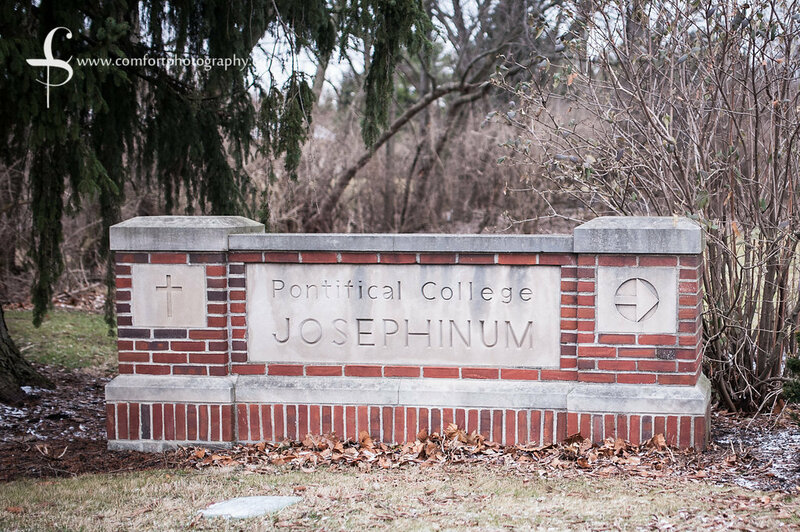 The original library building then became available for multi-purpose use by both the Josephinum and outside groups. 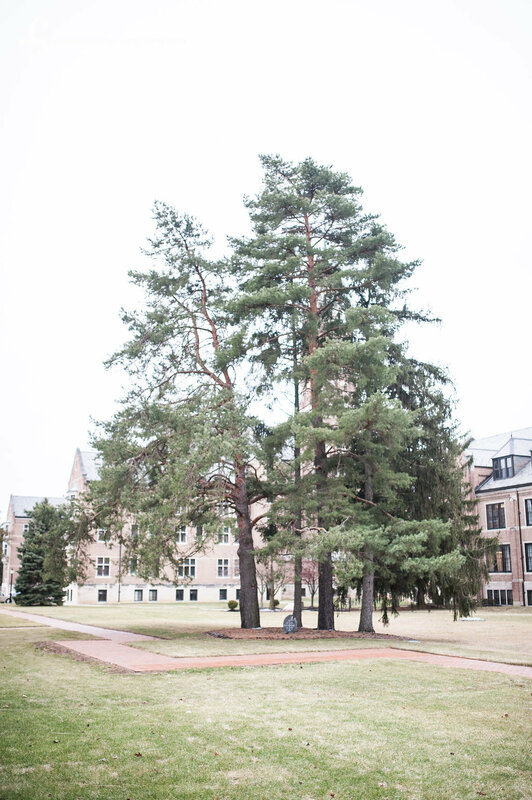 The building’s extensive renovations were completed in 1997 and was later remodeled and updated in 2013. 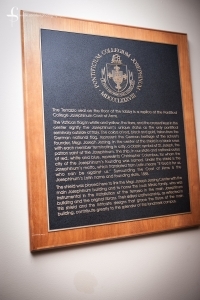 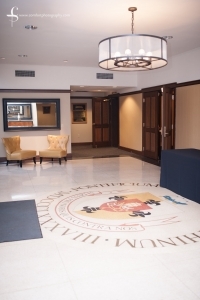 The interior of the Jessing Center reflects the traditional spirit of the Pontifical College Josephinum. 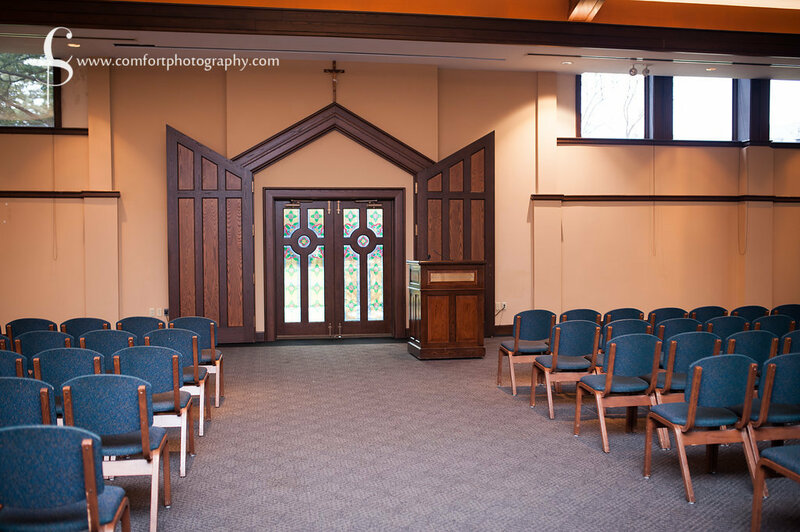 The building’s stained glass and extensive woodwork mirrors the intricate detail of the main seminary building. 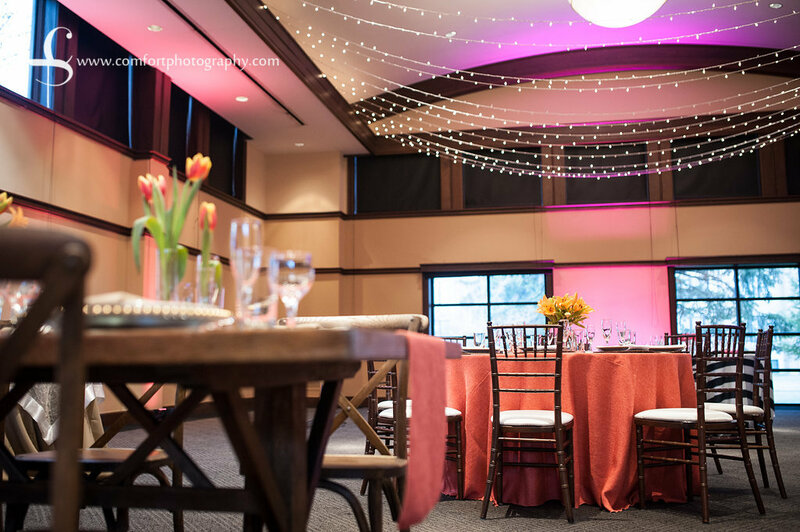 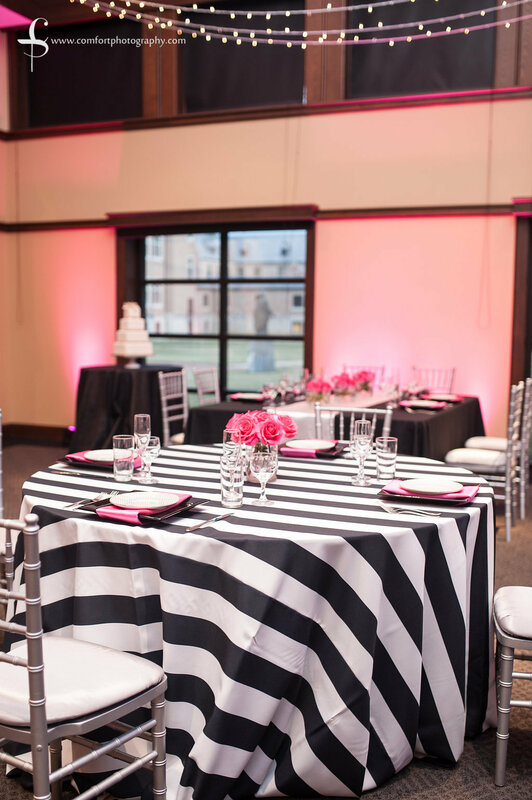 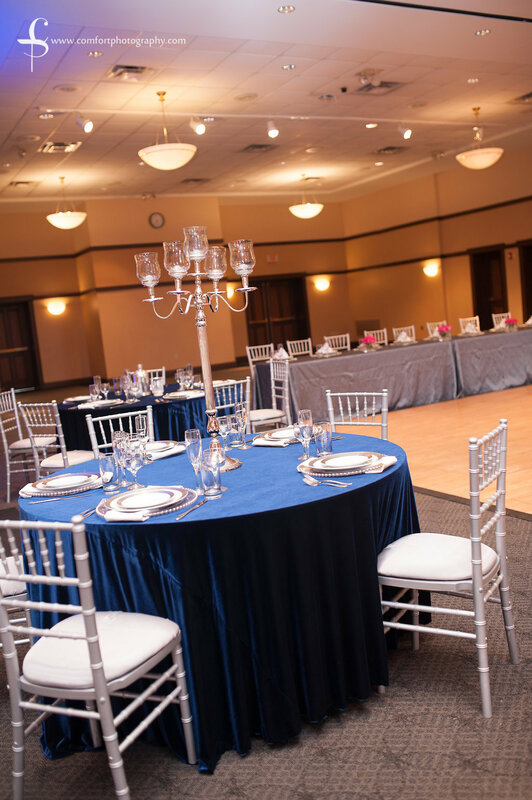 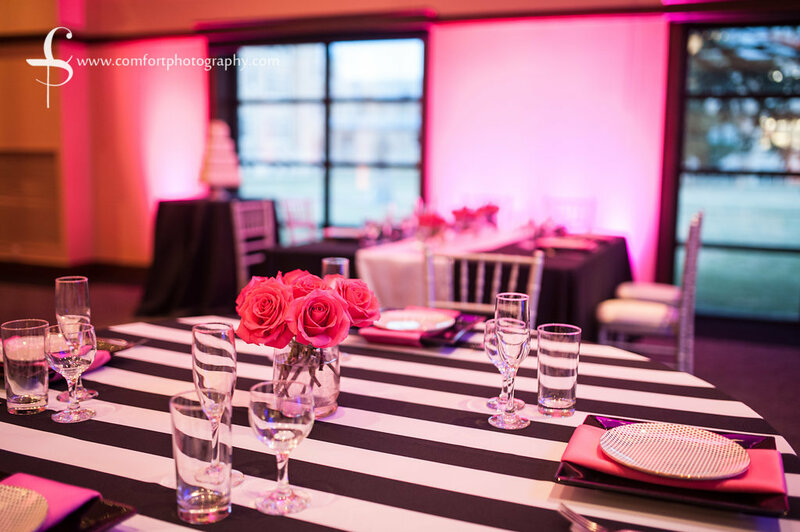 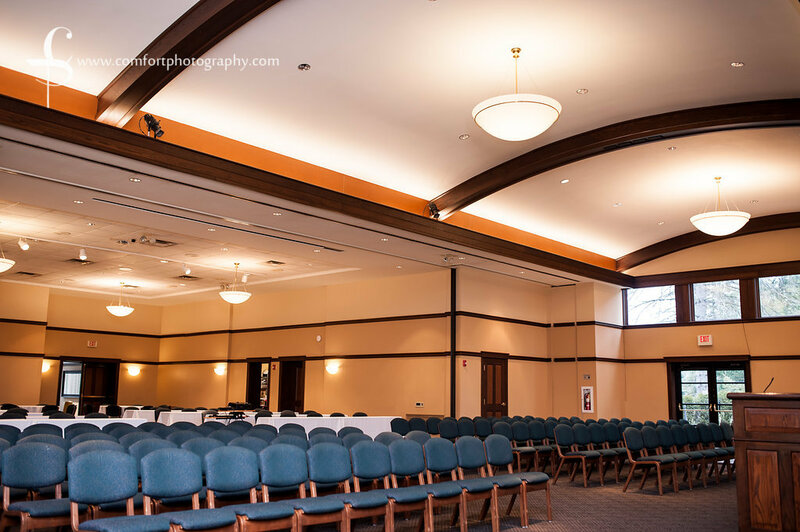 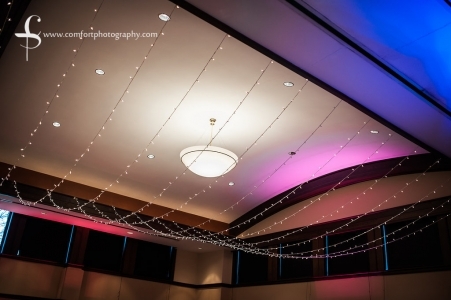 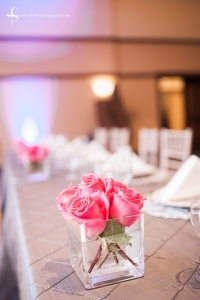 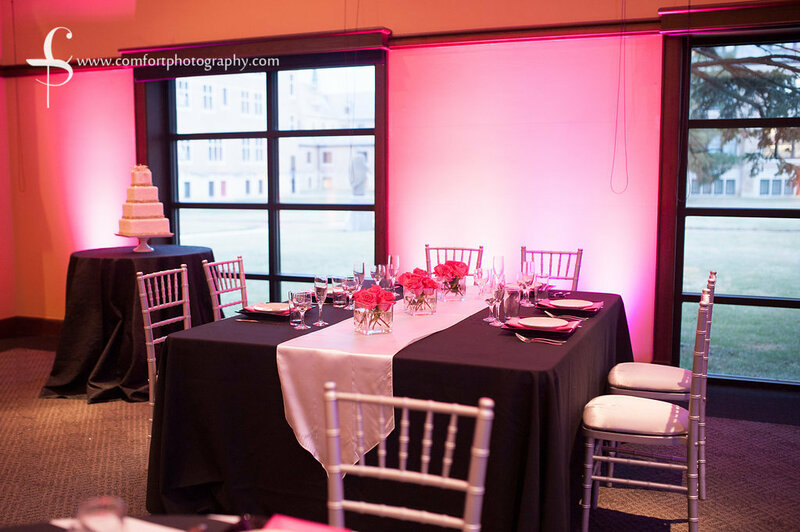 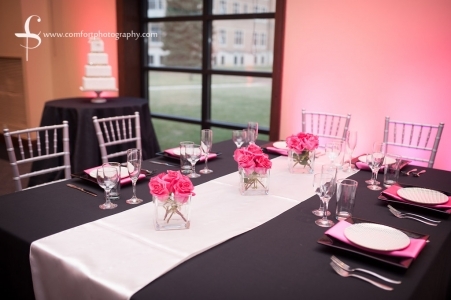 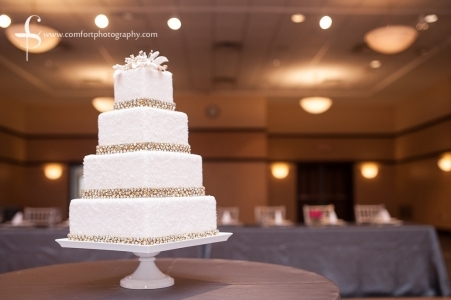 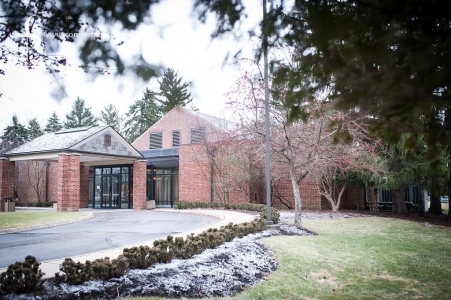 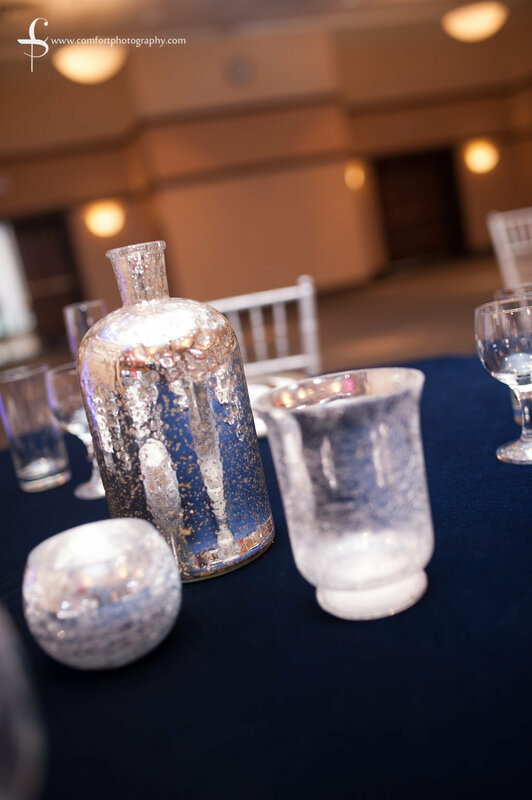 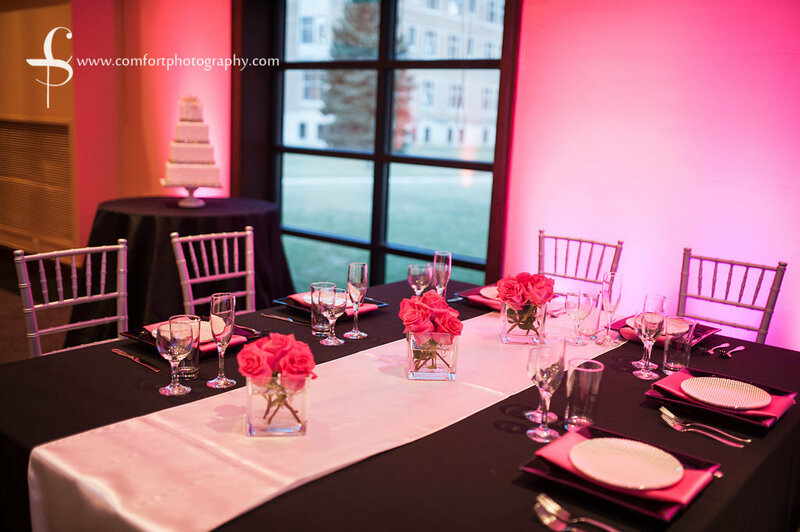 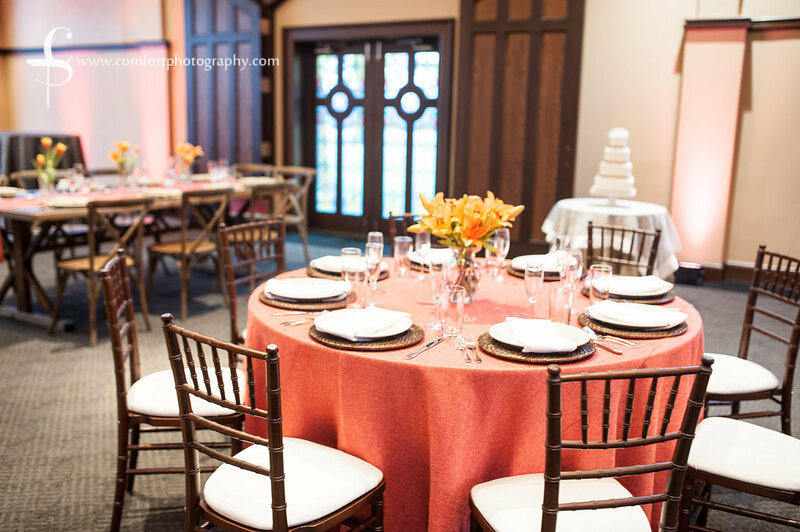 Peacefully tucked away in the heart of Worthington, the Jessing Center is a beautiful and elegant venue for wedding receptions. 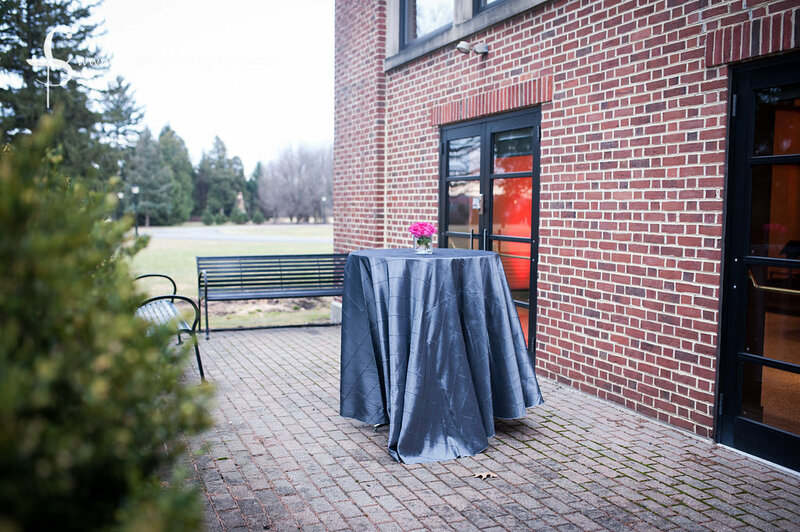 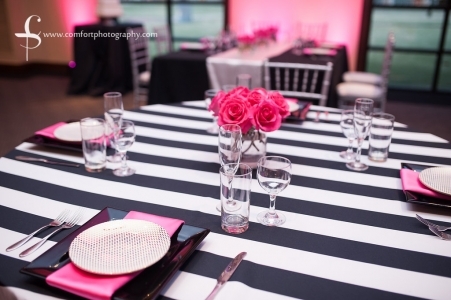 The serene and tranquil grounds provide a picturesque background for your special day. 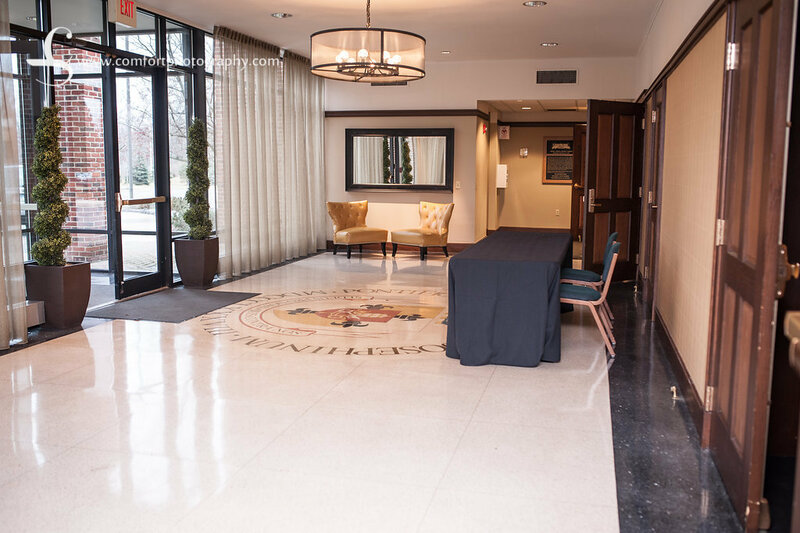 It is conveniently located near a wide variety of hotels and is easily accessible for out of town guests. 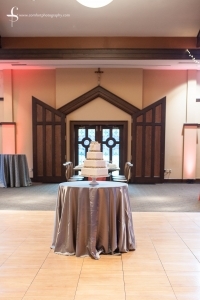 While the magnificent surroundings create stunning photo opportunities, inside the guests will enjoy the spacious ballroom with arched ceilings. 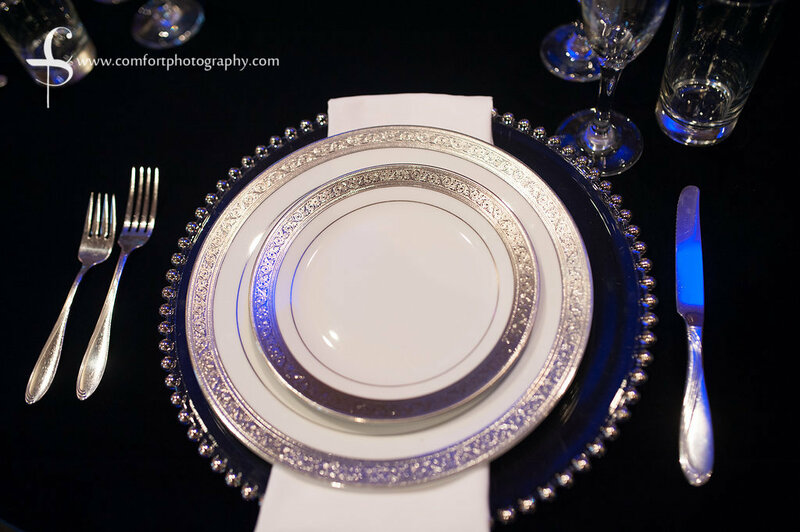 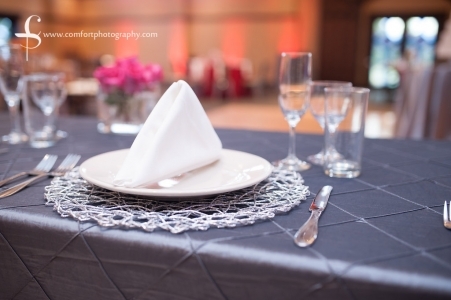 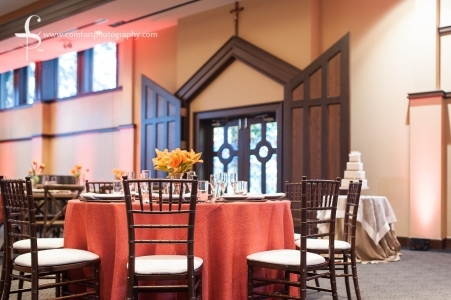 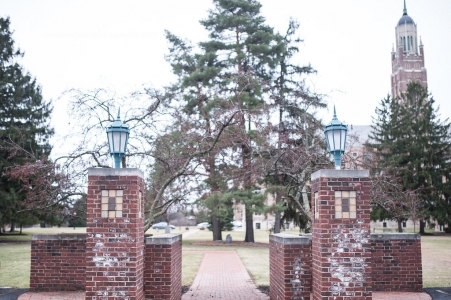 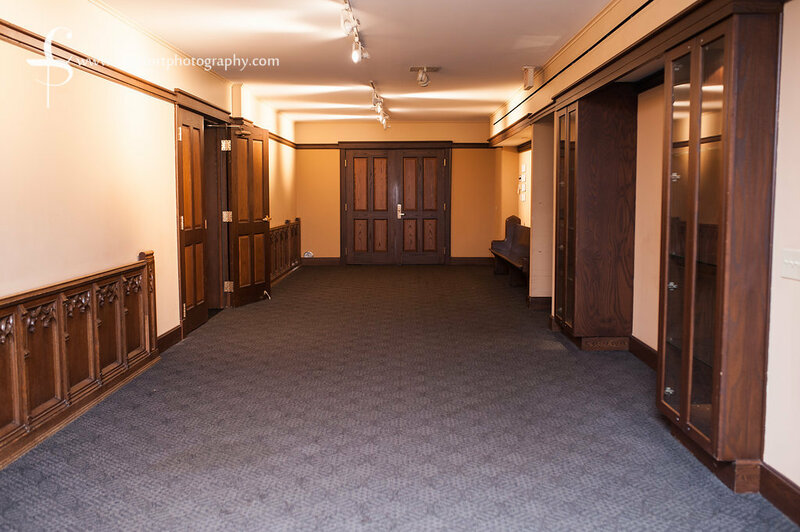 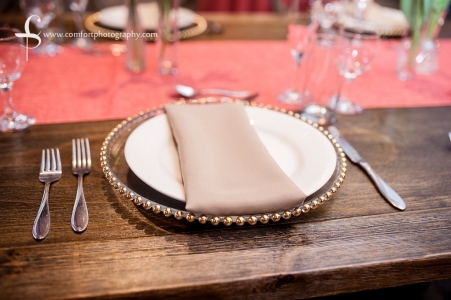 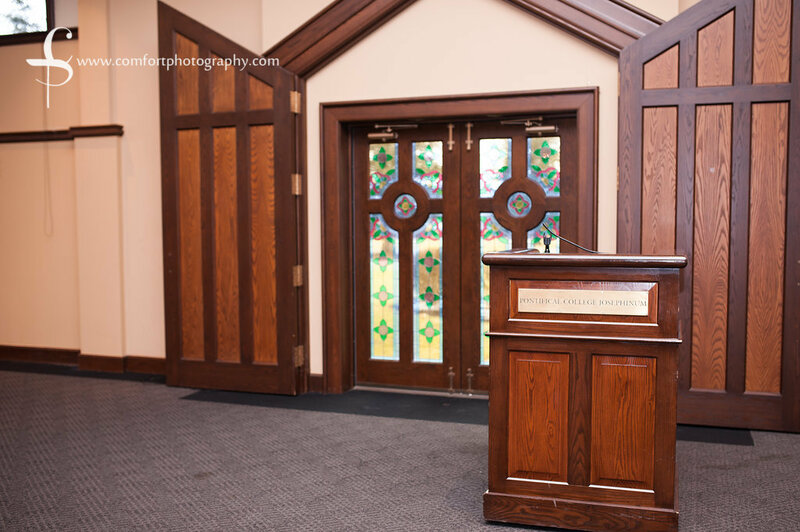 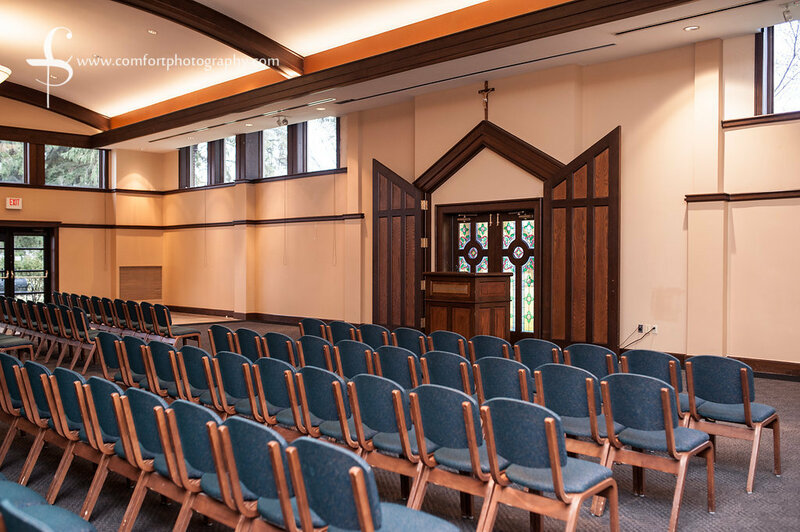 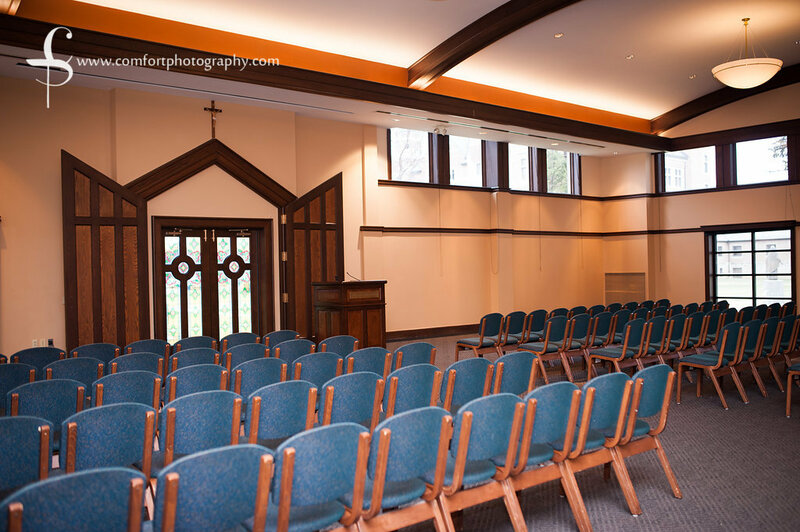 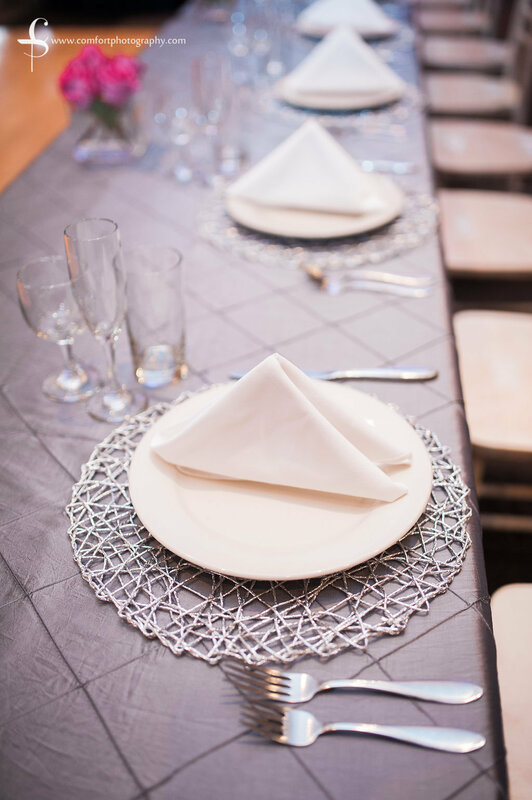 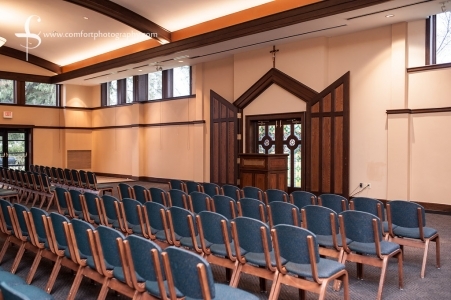 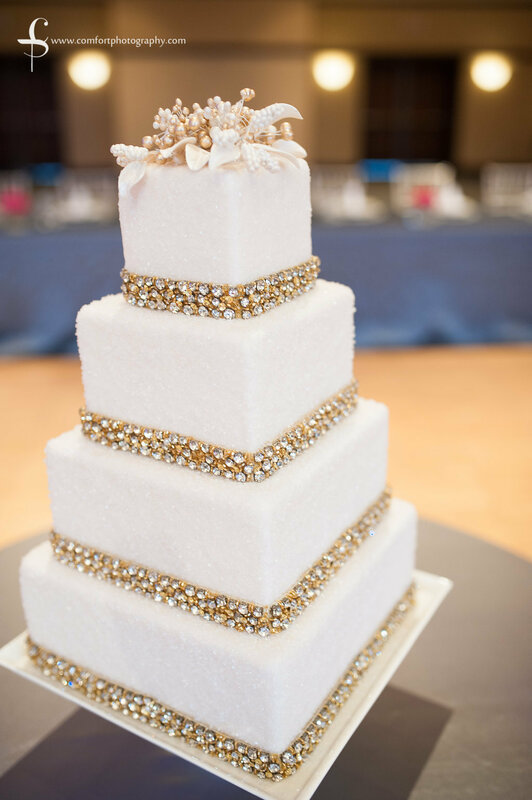 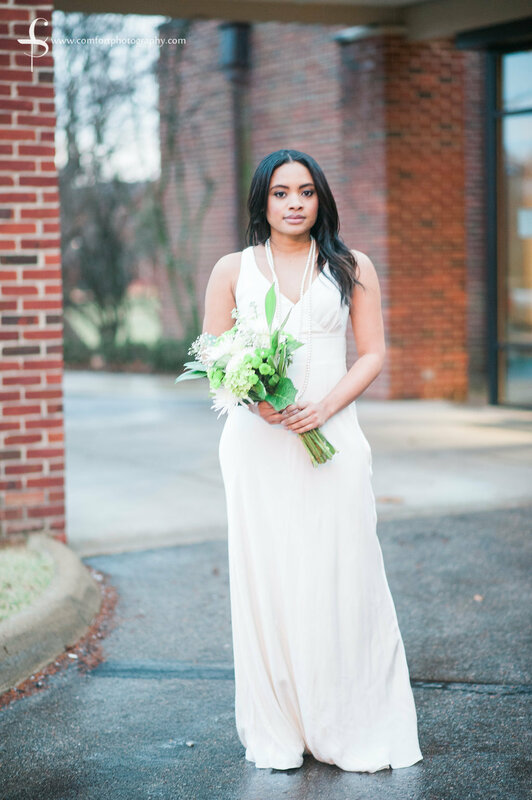 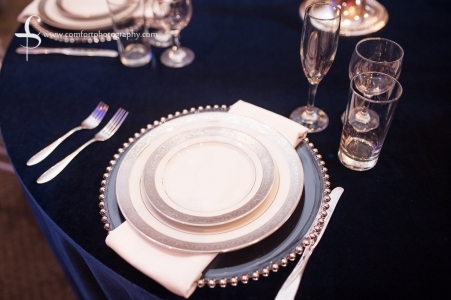 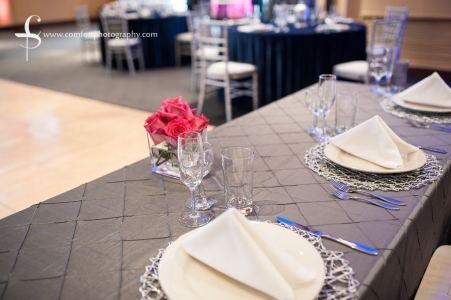 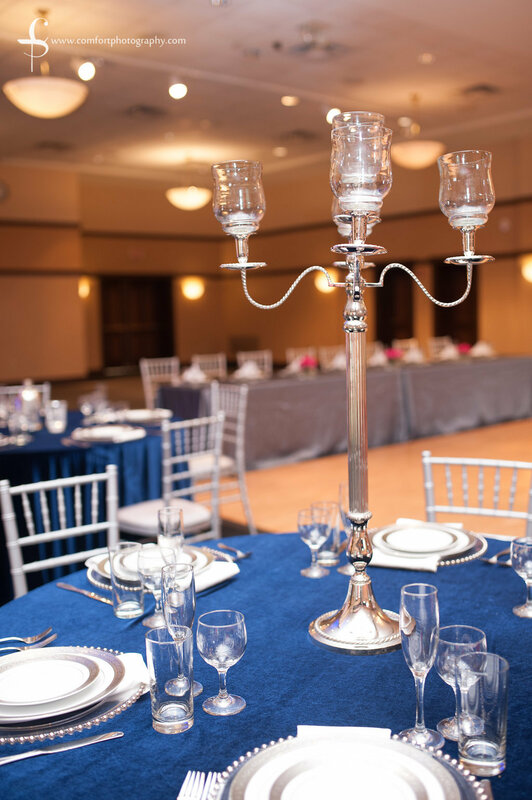 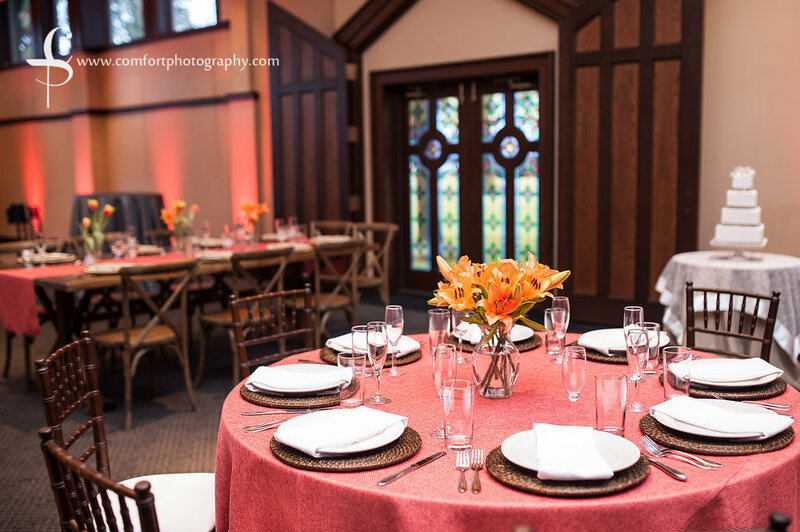 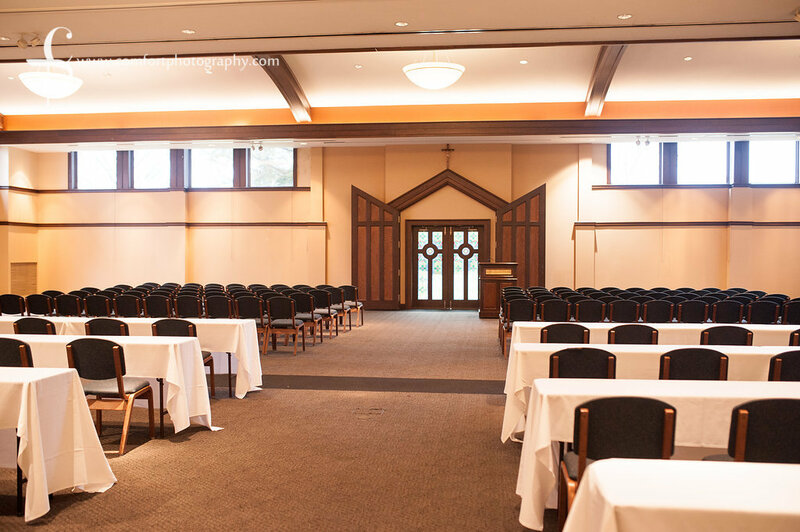 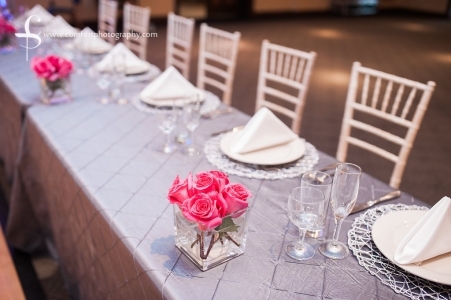 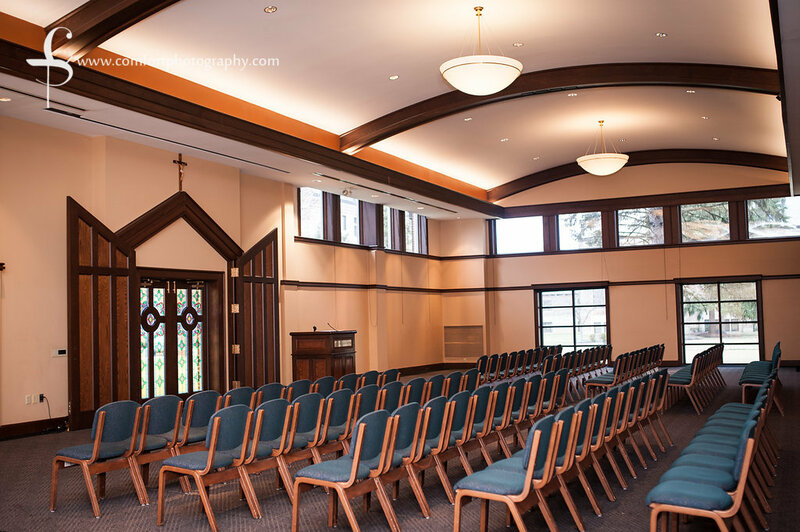 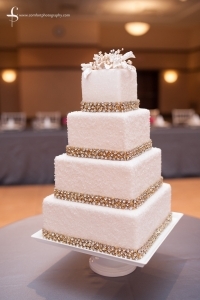 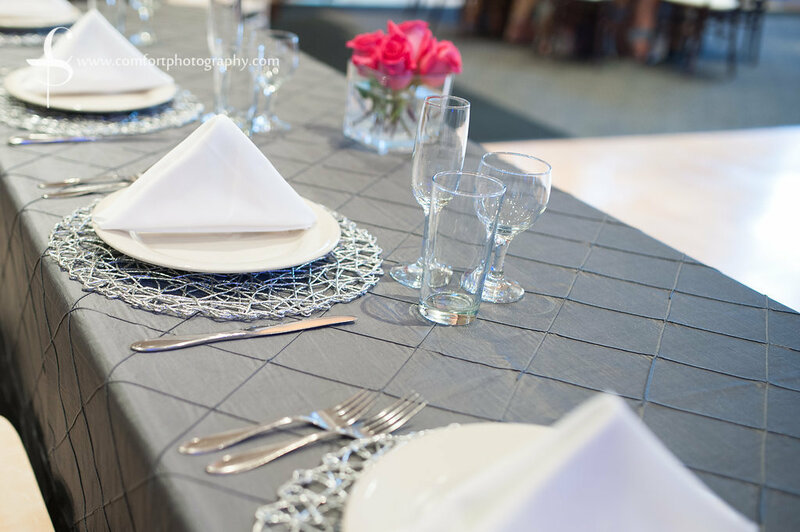 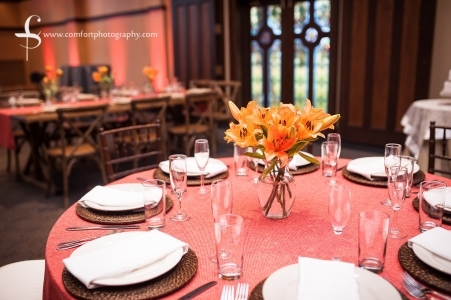 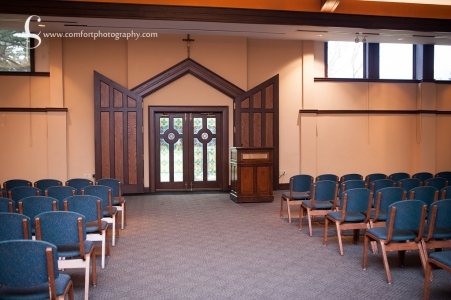 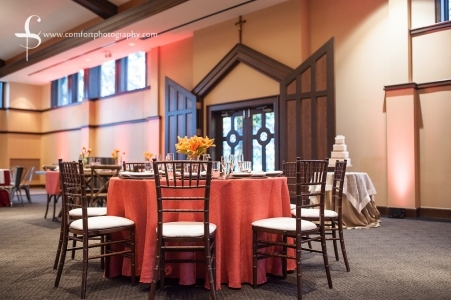 By staying true to its Catholic values and traditions, the Jessing Center requires that a Catholic wedding ceremony occur in order to hold a wedding reception at the venue. For further question and concerns, please contact Bosc + Brie. 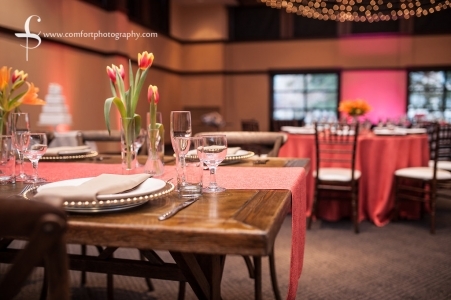 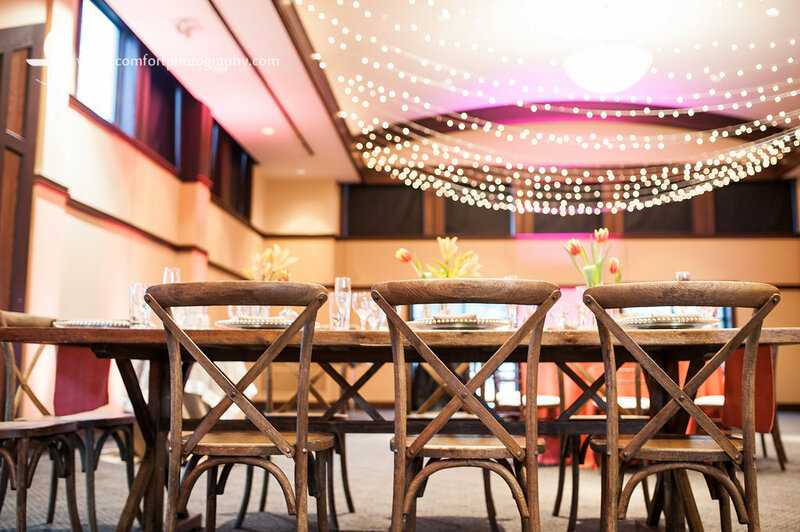 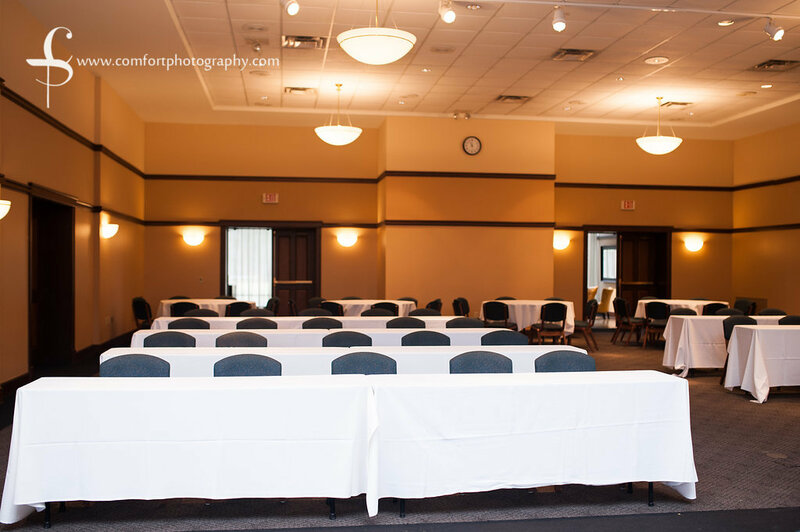 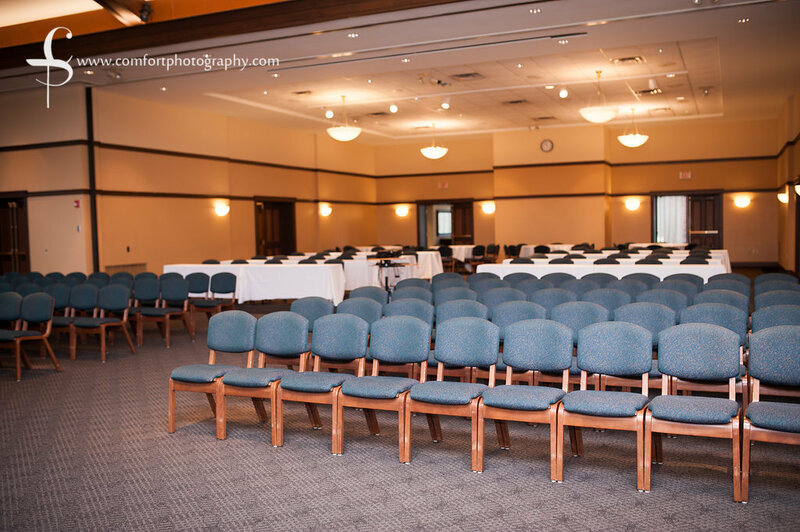 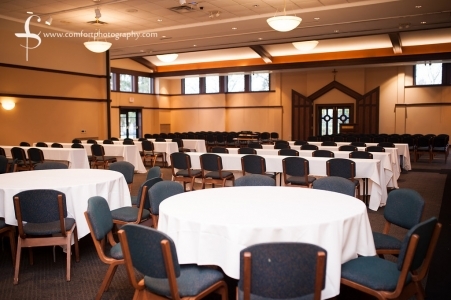 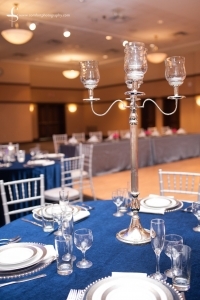 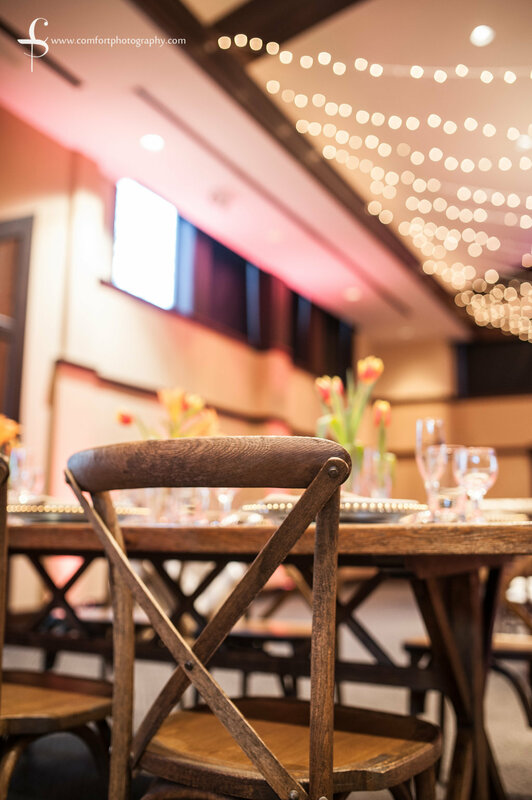 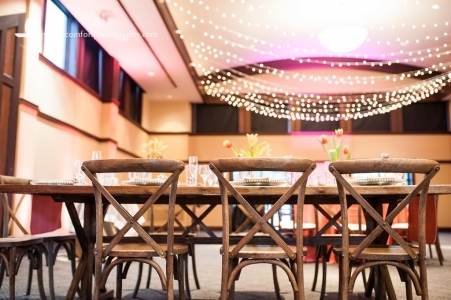 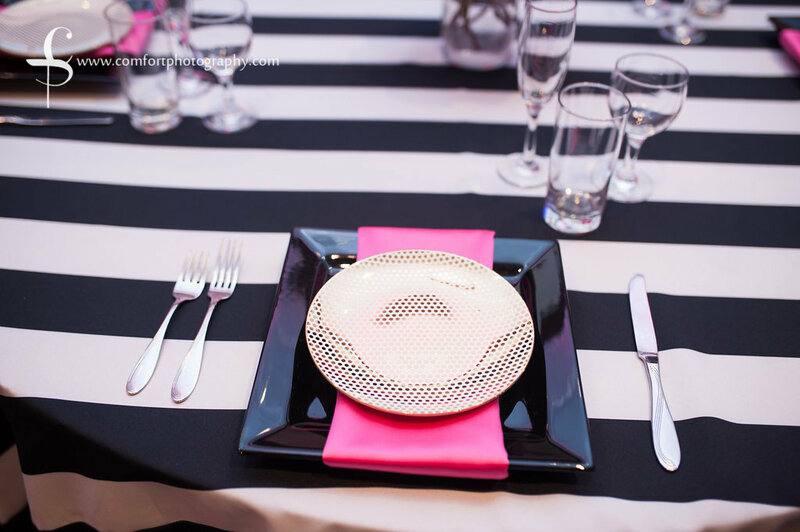 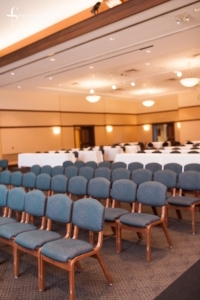 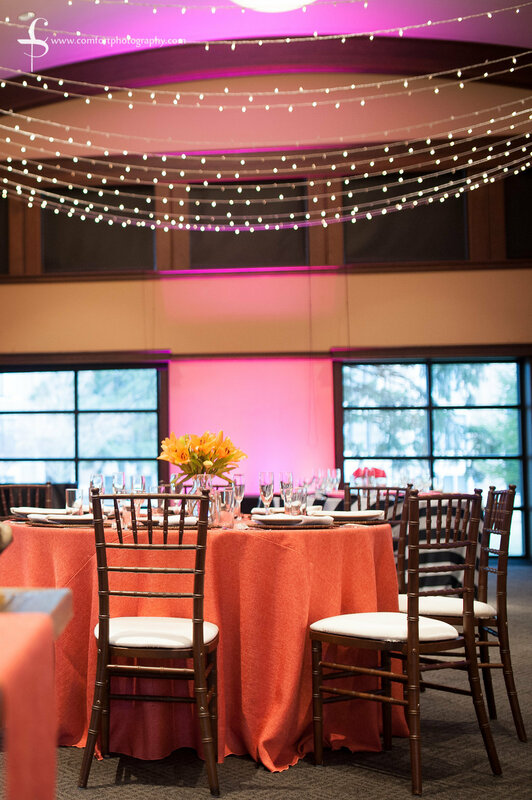 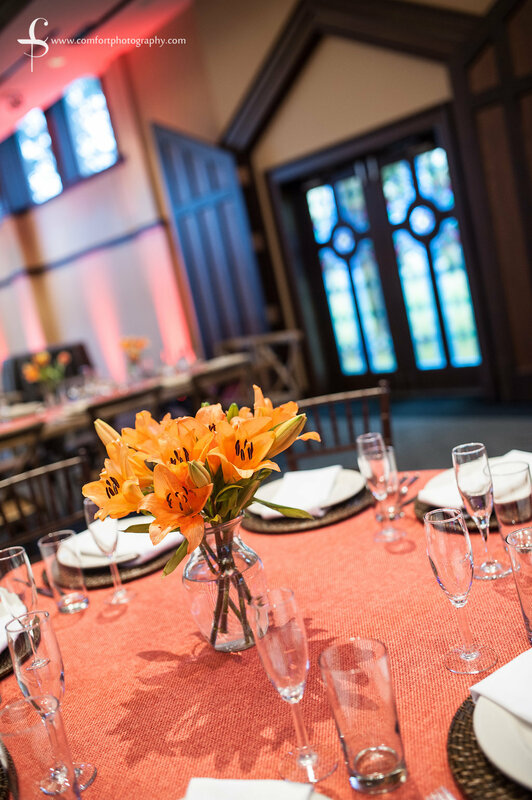 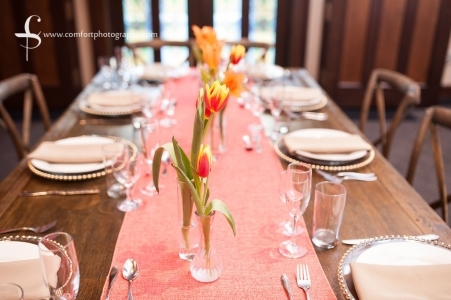 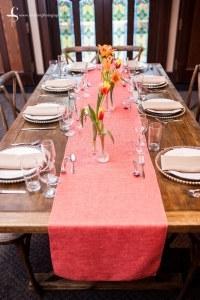 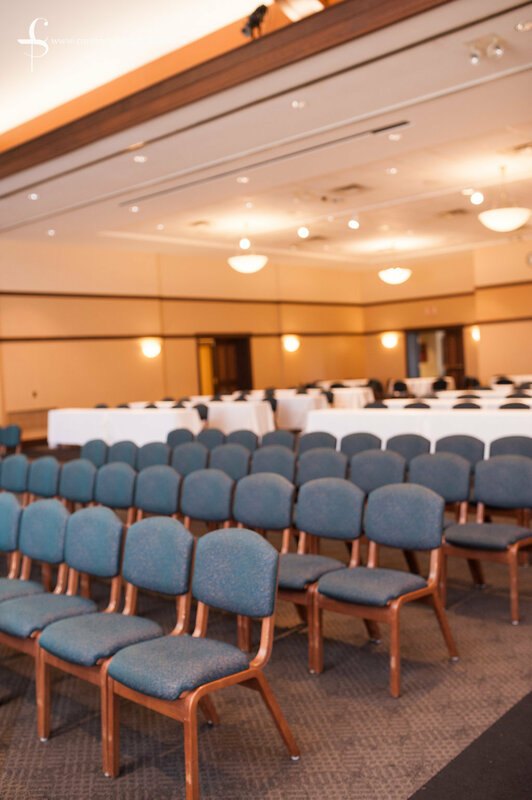 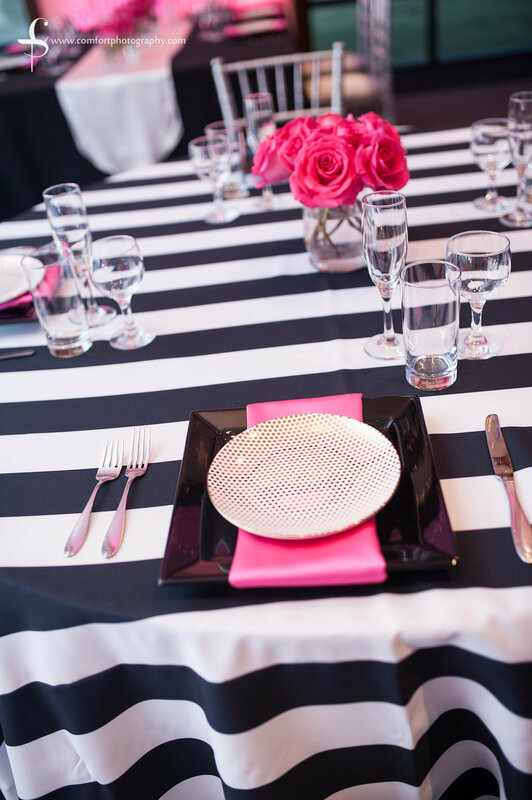 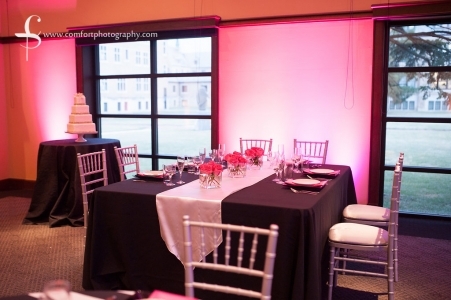 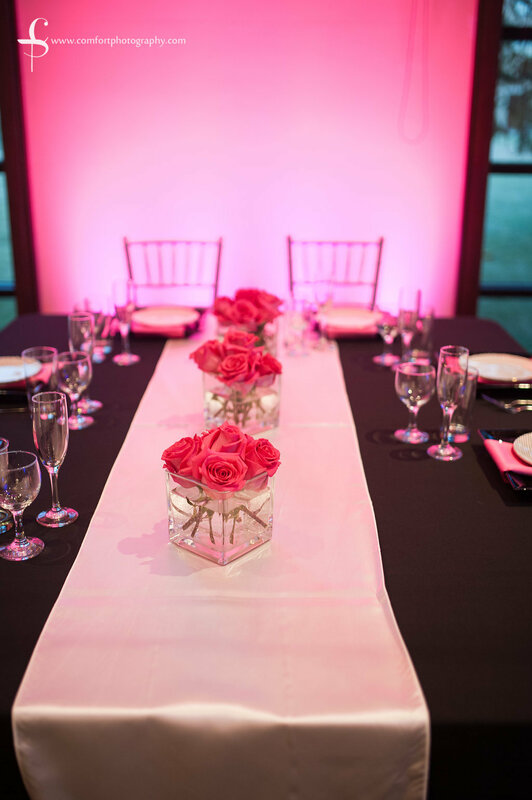 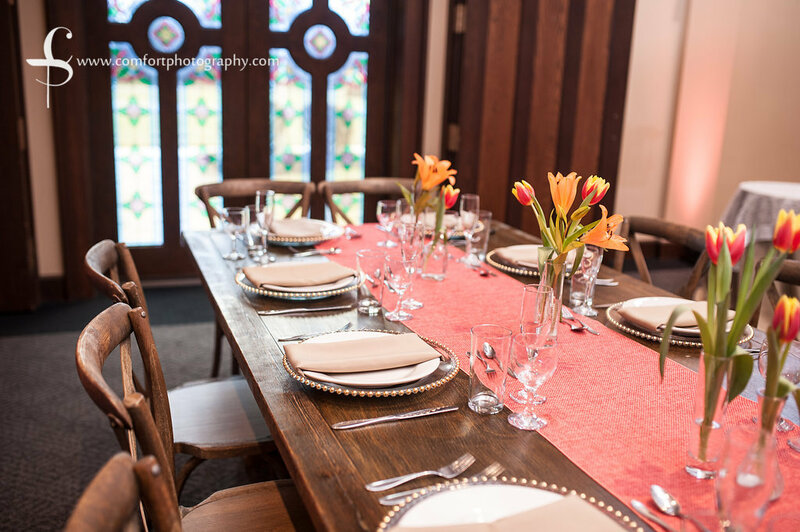 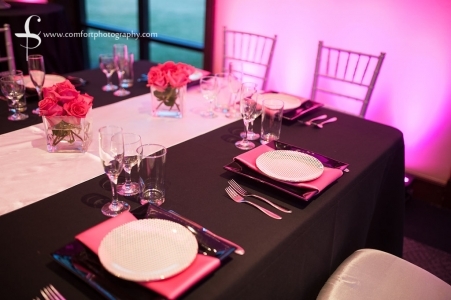 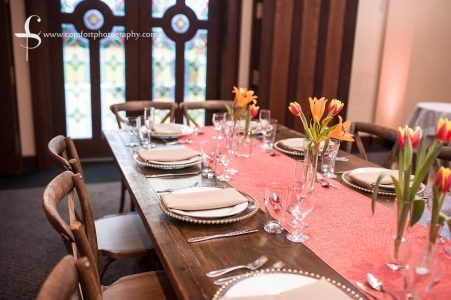 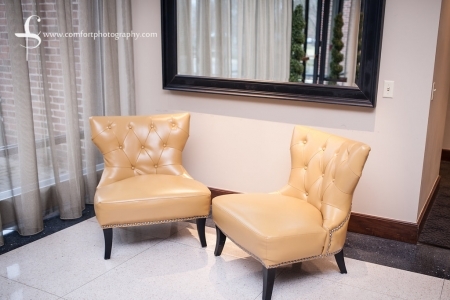 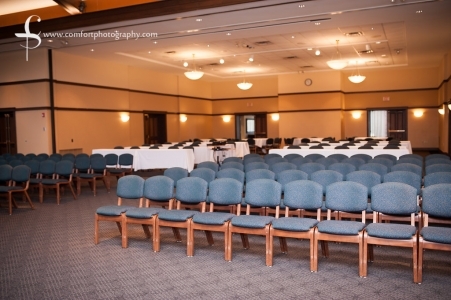 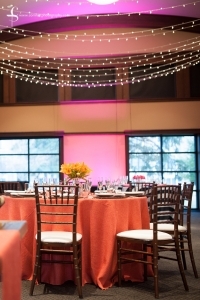 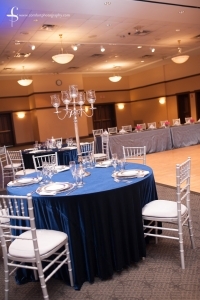 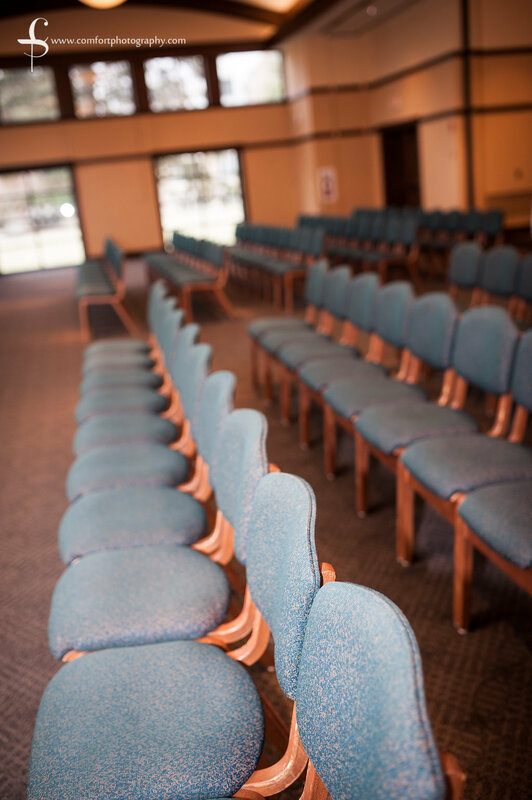 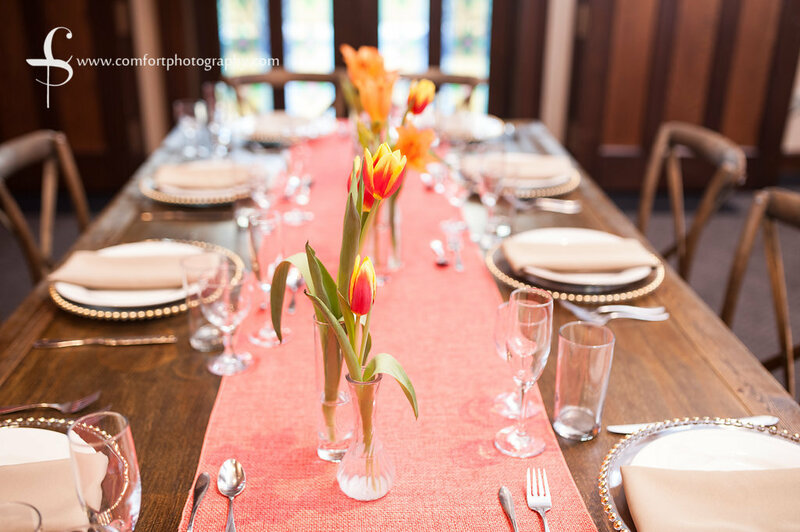 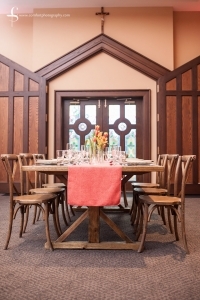 The Jessing Center is the perfect venue to host your next corporate event. 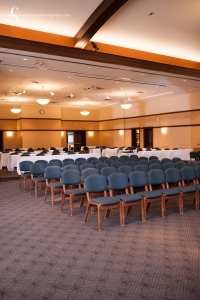 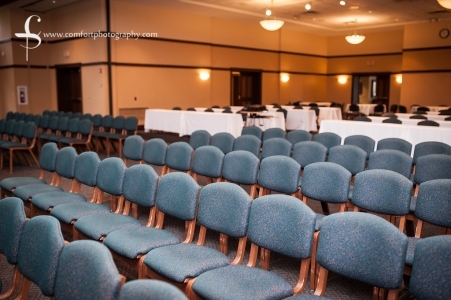 The venue is available on a rental basis to civic, professional, and business groups. It is conveniently located in north Columbus off the intersection of 270 and High Street. 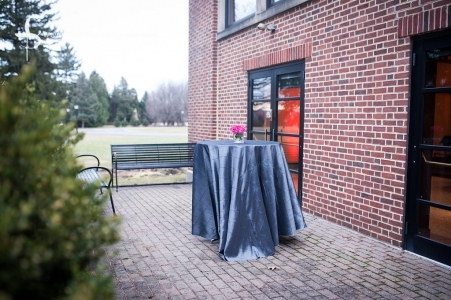 The serene grounds provide a quiet get-away for team building and company morale, while still minutes away from hotels and restaurants. 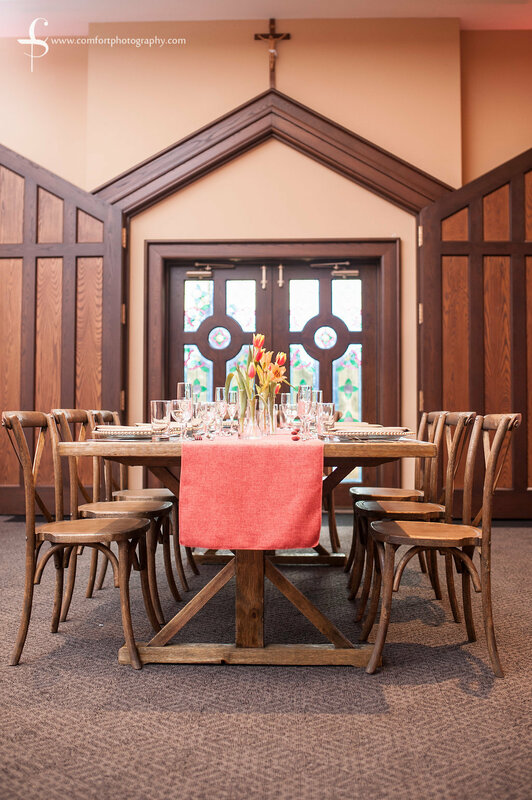 The Jessing Center’s onsite caterer, Bosc + Brie, provide a wide variety of breakfast, lunch and dinner options to accommodate your meeting needs.